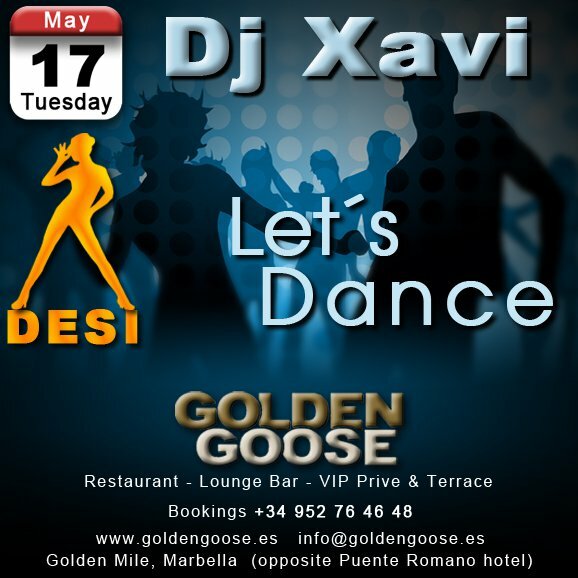 Dj Xavi at Golden Goose on the 17t h of May! Do you want more? Then let´s dance tomorrow night with Dj Xavi´s music and Desi! From 23h. live another Golden Goose´s night!